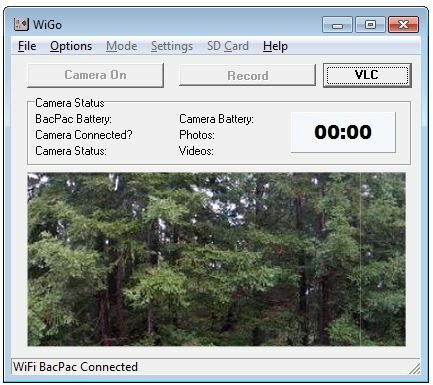 WiGo is a Windows application that connects to GoPro cameras with a WiFi BacPac. The app can be used to control the camera settings, preview images, and download photos and videos from the SD card directly to the PC. WiGo is available for download from Cam-Do.com.